Hiding unnecessary fields in DispForm.aspx/EditFOrm.aspx is something most of us implement within our SharePoint implementations. Here is a quick way to achieve that using JQuery. So you have many fields in your NewForm.aspx but you want to hide some like in the screenshot. I want to hide the fields I haven’t underlined. 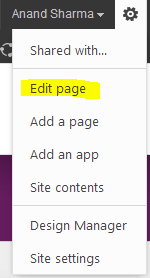 I will click on Edit Page, and add a Script Editor webpart on the page. From the below script, just change the number in which your fields appear on the page using a 0 index. So to hide the first field, enter 0, second field – enter 1 and so on. Also you can do some formatting on your page using Jquery, for example I am making the font as BOLD for the list item entries. I want to hide the information in the screenshot, you can add this line as well. Hope this helps someone looking for a similar scenario. 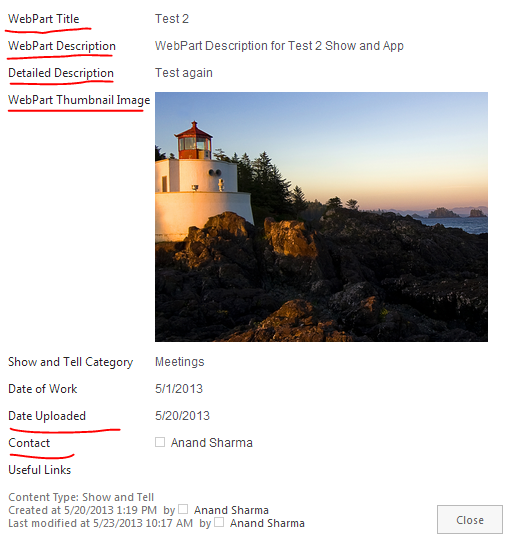 Permission handling is something which makes SharePoint a favorite product within the industry. SharePoint has Permission levels in built for basic roles, however you can create your own permission levels and assign to Groups and then set those groups to access any site/library/list. Whenever a sub-site is created, it asks you if you want to inherit the permission from the parent site or want to create unique permissions. If you choose to inherit the permissions, it will copy the same set of permissions to the sub-site which will again be passed on to the lists/libraries you create. It may happen that for securing our content, we want to break this inheritance and want to assign unique permissions to restrict the users for certain actions and to make the content more secure. Inheritance can be broken manually using the Out of feature also and if you have a business logic in place, you can do it programmatically also. This blog post gives you code to break inheritance for items meeting certain criteria and assigning permissions to them explicitly. I am using ItemAdded() event receiver to do this. You can use it within workflow or any custom webpart as well.